It was actually business coach Eben Pagan, who introduced me to Peter Drucker's work in one of his time management, effectiveness lessons, when he addressed the special needs of knowledge workers. The Effective Executive is not especially written for top level executives. It addresses issue that are of importance for everyone in an organization, who is in charge of influencing the work habits of others. I find the book very valuable for Internet business related entrepreneurs (like myself). 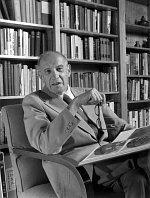 Peter Drucker's book helps managers in big corporations and solo entrepreneurs to become more effective. A must read. I have read this book before an it really is an eye opened. It provided me with tactics that I did not even bother to look at. I reccomend this book for anyone who hope to start a business someday. Even for those who are in business right now should give this book a good read.